Does anyone else feel like it went from freezing cold to blazing hot in the blink of an eye? We turned on the oven for a quick casserole the other night and I was blown away at how much it heated things up. 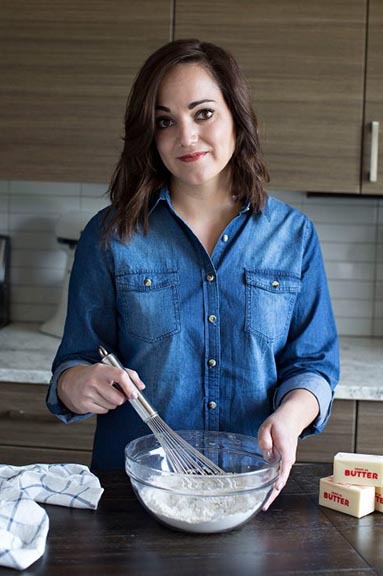 Luckily, I’ve found a quick meal solution for a delicious dinner in just a few steps. 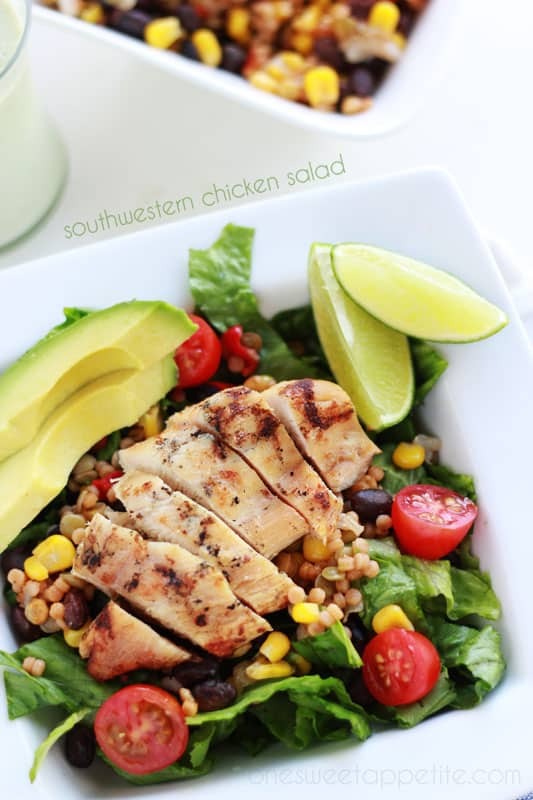 This southwestern chicken salad came together in a snap and the best part? NO oven. I started by picking up some base ingredients. 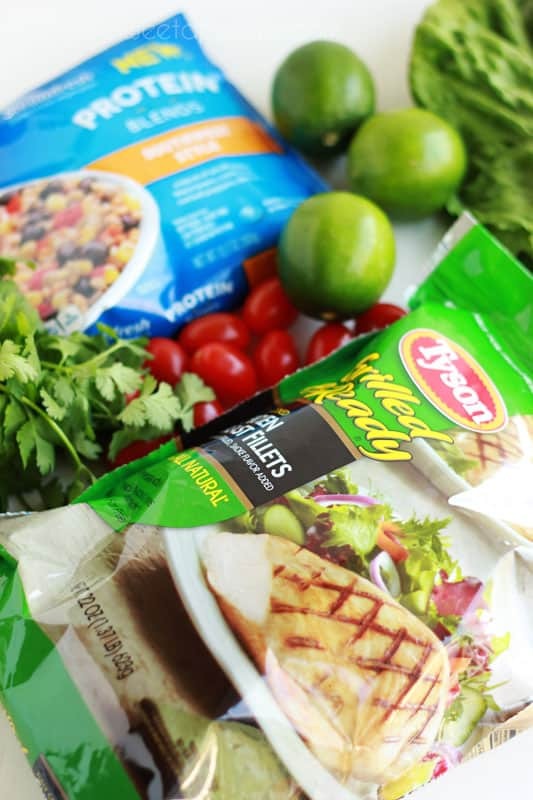 We actually loooooove to have these Tyson® Grilled & Ready® Chicken Breast Fillets on hand for busy weeknights. I can’t tell you how convenient it is to reach into the freezer after a day at the pool and have a Healthy: 100% all natural breast made with all white meat ready to heat and eat. The last thing I want to worry about (because I’m pretty much exhausted after keeping up with the kid) is dinner. Our typical recipe go-to is fajitas but I decided to spice things up a bit. 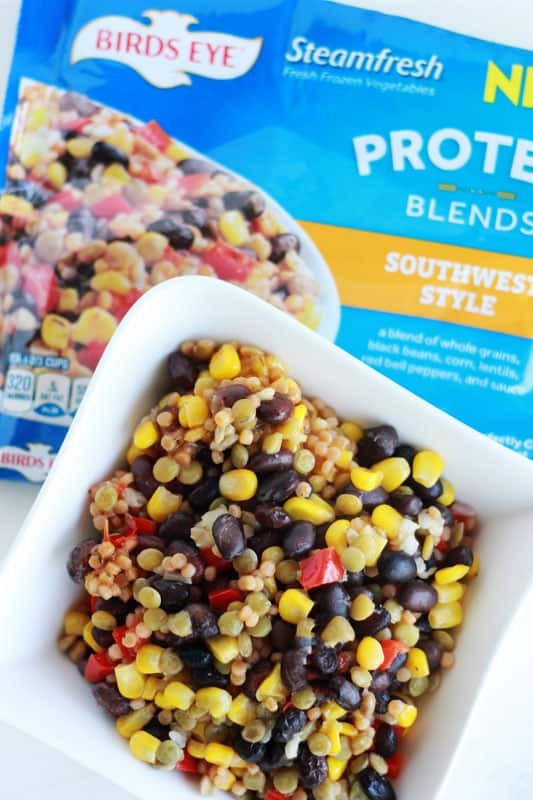 That’s where the Birds Eye Southwestern Protein Side comes in handy. It’s the Birds Eye Veggies everyone loves, with added protein for a full meal solution. Combine these with the chicken and you have got a meal that is ready to be devoured! I love that everything is easily prepared in microwave and that I found both on the same aisle at Walmart. Heat the chicken and Birds Eye in the microwave, one at a time. While those are cooking shred the lettuce and divide into two bowls. Top with tomatoes, cheese, avocado, limes, and cilantro. Add the Birds Eye and Tyson chicken. 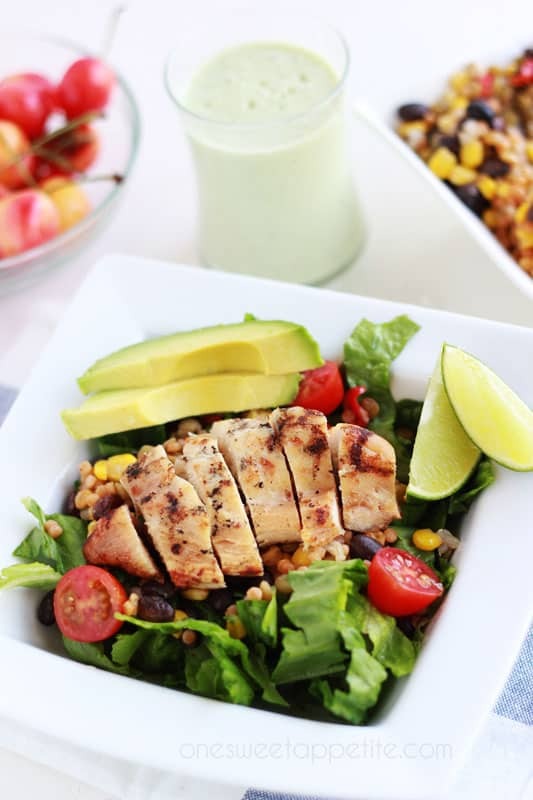 Drizzle with dressing and serve. Wow! What a great recipe! I like how the chicken looked perfectly juicy and tender. I love all the ingredients you have for this salad. The color is stunning too! I love it!